A video entitled "UFO at Baseball Game" was uploaded to YouTube on September 5 and, to date, has been seen by 245,184 people. In the video, what is purported to be a UFO is seen hovering in the sky just beyond the outfield of Vancouver's Nat Bailey Stadium during a September 3rd Vancouver Canadians game. The sighting received boatloads of press but, predictably, turned out to be a marketing stunt organized by the H.R. MacMillan Space Center. The stunt was created by MacLaren McCann to hype an upgrade to the Space Center's Planetarium Theater. Of the stunt, Space Center Executive Director Rob Appleton said, "We wanted to show Vancouver, B.C. and the world that you can truly have a rare experience by exploring the exciting new shows and state of the art projection system." 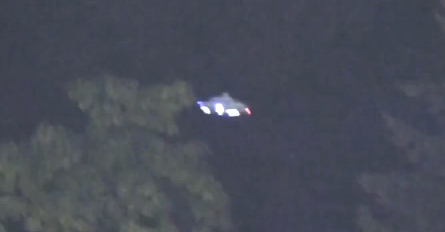 The video wasn't altered to include a visual of a UFO. The creative team at MacLaren McCann launched an actual fake spaceship from a hill just beyond the stadium so everyone could see it in addition to it being filmed.